Image above: The relatively new Mother Parkers Tea & Coffee production facility in Mississauga, Ont., produces millions of single-serve coffee capsules per year under its own brand labels and as private-label products for retail, foodservice and institutional customers across North America, with major emphasis on improving the recyclability of the plastic capsules. James Zaebst, Special Projects Engineer, Mother Parkers Tea & Coffee Inc.
For all their significant differences in origin, preparation, taste and perceived health benefits, coffee and tea are forever twinned in the larger context of being the world’s two most popular and most widely consumed hot beverages. 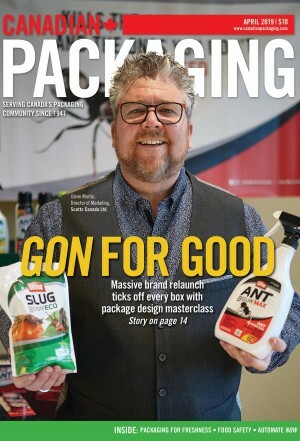 And for companies like the Mississauga, Ont.-headquartered Mother Parkers Tea & Coffee Inc., being able to offer North American consumers both options, at the same high level of product quality and taste, is a win-win proposition any way you look at it. Founded in 1912, the family-owned company is anything but a newcomer to the global coffee and tea business, nowadays sourcing its raw coffee beans and tea leaves from over 30 countries around the globe for its own brands and an ever-growing range of private-label products for both retail and foodservice channels. But for a company with more than a century of proud history of continual growth behind it, its openness to trying new ideas and new ways of doing things is the proverbial breath of fresh air in an industry placing a big premium on familiarity and tradition. Always striving to stay ahead of the curve and competition through relentless product innovation, Mother Parkers was not only one of the first tea and coffee processors to fuel the meteoric rise in the popularity of single-serve coffee and tea pods (aka capsules) a few years ago, but also one of the first to respond in a meaningful way to a heavy barrage of public condemnation aimed at the new format’s environmental shortcomings—primarily related to its lack of recyclability. 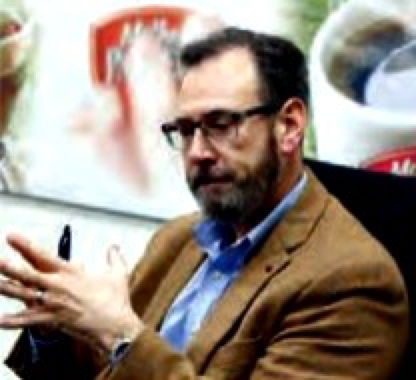 Rather than simply brush off the criticism as a fair trade-off for delivering the single-serve convenience that consumers themselves were demanding from the industry, the company embarked on a far-reaching quest to produce a more environmentally-friendly single-serve coffee capsule to bridge the gap between growing consumer demand and the heavy burden of alleged ecological insensitivity. 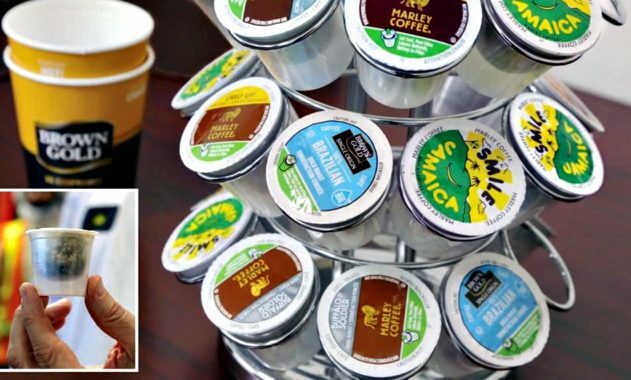 With the company’s 320,00-square-foot Mississauga plant currently producing millions of single-serve coffee capsules per year, the stakes could hardly be higher for the storied firm owned by Paul Jr. and Michael Higgins, third-generation siblings of the founding Higgins family. “There is definitely a major focus in the industry to develop a more sustainable solution for single-serve coffee,” says Mother Parkers special projects engineer James Zaebst. Originally used exclusively for loose-leaf tea when launched in 2014, the company’s EcoCup capsules have since been adopted for use across all of its flagship coffee brands, including Mother Parkers, Brown Gold, Martinson and Marley Coffee. Utilizing patented ‘click-and-peel’ technology to separate the capsule’s brewed contents from the recycling-ready clear-plastic shell and lidding has enabled EcoCup capsules to be accepted into many more municipal recycling streams than single-serve pods used by many competing coffee products, according to Paul Yang, packaging development group leader for Mother Parkers. 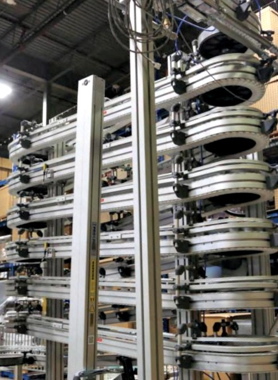 Manufactured by FlexLink Canada, the multilayered conveyor system at the Mother Parkers capsule plant provides extended accumulation capabilities for uninterrupted production flow. “In the past we used several different colors for the capsules in order to differentiate the brands from one another,” he says, “but we found that transitioning to one single [clear] color makes them more acceptable for recycling in more municipalities. “The plastic material we use is recyclable, and we believe that our click-and-peel content removal technology is highly effective in removing the compostable organic waste from the cup to provide a clean, pure material to the recycling stream. 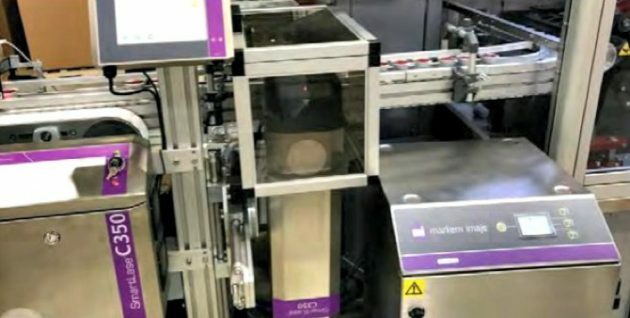 The smooth-running, fully-automated single-serve capsule line at the Mother Parkers plant in Mississauga can accommodate robust throughput speeds of up to 22 cases per minute. Indeed, continuous progress is a daily modus operandi for the busy Mississauga capsule plant, which runs on a three-shift, around-the-clock schedule five days a week, employing about 135 production staff to manufacture over 300 different SKUs (stock-keeping units), including its own brands and many leading private-label brands for major retail and foodservice customers. While the plant’s product portfolio includes hotel pods and fractional packs, the bulk of its business is nowadays focused on EcoCup capsules, which are multipacked in preprinted folding cartons containing 12, 16, 18, 24, 36, 48 and 72 capsules per box. 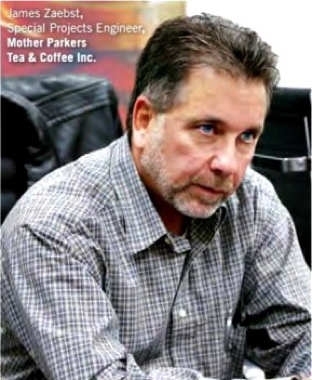 “Our production volumes and capacity have grown continuously with growth of the single-serve format and the rising popularity of our more environmentally-friendly capsule format,” says Mother Parkers vice-president of operations Joe Navin, who is also responsible for overseeing daily production at the company’s other three plants in Mississauga (coffee roasting/grinding), Ajax, Ont. (tea processing); and Fort Worth, Tex., which produces both tea and coffee products primarily for the U.S. markets. 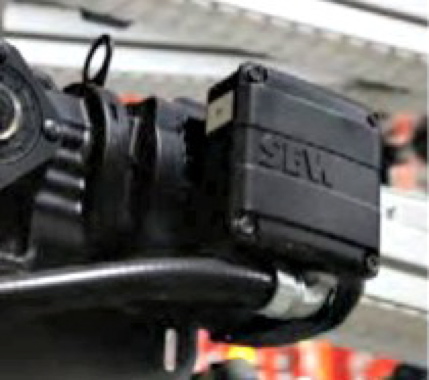 One of several high-performance SEW-Eurodrive electric motors used to power the new FlexLink conveyor line. Being able to process both coffee and tea capsules provides the highly-automated capsule plant with enhanced economic efficiencies and flexibility to ensure quick response to market needs, Navin and Zaebst concur. Each EcoCup capsule on the FlexLink conveyor line is thoroughly tested and monitored via an HMI terminal for quality and fill level. 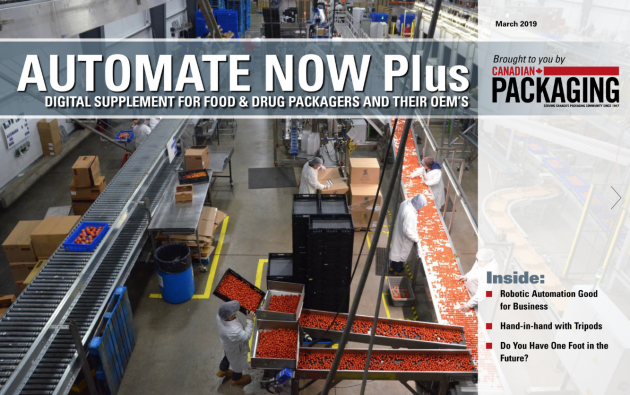 One of the plant’s more recent capital upgrades involved the installation of a highly flexible conveyor system for transporting the filled single-serve cups from the capsule filler to the box-erecting machine to box the product. Manufactured by FlexLink Systems Canada, Inc. in Burlington, Ont., the FlexLink Alpine System is a highly modular, aluminum chain conveyor that capably met the plant’s specific requirements for modularity and flexibility, compact footprint, and extended accumulation capabilities. Installed as a continuous spiral overhead conveyor consisting of six circular tracks stacked on top of one another, with a few inches of space gaps between the six layers, the two-inch-wide conveyor is partially hung from ceiling and partially floor-supported with customized floor and mezzanine mounts to maintain its stable position in mid-air at all times. 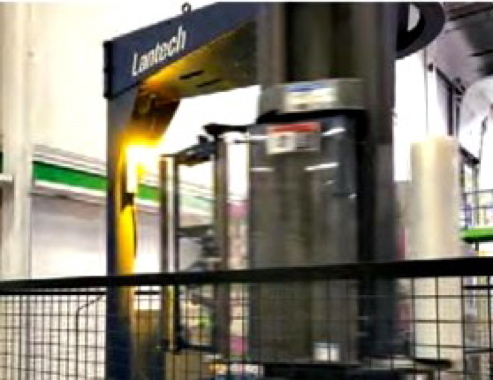 The model C-1000 case-erector manufactured by Lantech is integrated into the recently-installed FlexLink conveyor line. 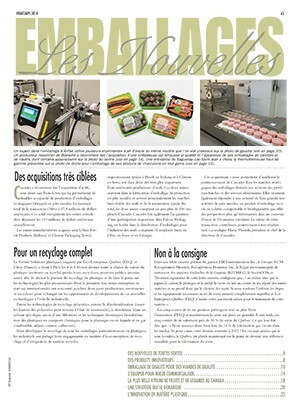 “The FlexLink conveyor systems that were installed at the capsule plant to convey the finished capsules from our packaging machines to our nested carton and bulk-off equipment handle the product in a very gentle and efficient manner,” says Zaebst, who designed the conveyor’s aerial layout and configuration with the aim of optimizing all available floorspace. “It is a very flexible system that allows us to run product from point A to point B by snaking it around other equipment on the packaging line without any interferences,” says Zaebst, adding the system’s food-grade nylon and UHMW (ultra-high-molecular polyethylene) plastic belting ensures good stability for the lightweight capsules through their transfer from the filler all the way to the case-packing station. The model SmartLase C350 laser coder from Markem-Imaje applies permanent product codes onto the folding cartons used to pack the EcoCup single-serve capsules into various multipack formats. Synchronized with a fully-automatic Lantech model C-1000 case-erector, supplied by Veritiv, the FlexLink conveyor system enables the plant to maintain a brisk line speed of up to 22 cases per minute on this line, depending on carton size and the number of capsules per pack. 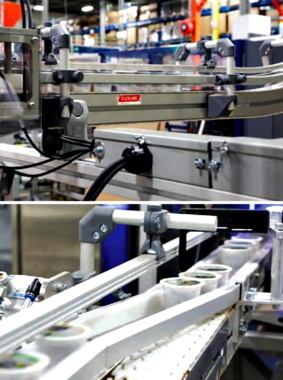 “Having worked with FlexLink conveyor systems many times well before this installation, I was quite confident that they would deliver us a robust, highly automated solution that would help us drive down our cost-per-cup, which it certainly has,” Navin states. “Still, it was very impressive to see them meet all our layout requirements and conserve plant real estate at the same time,” he points out. “The engineering and installation teams at FlexLink can turn out a complete conveyor regime in less than three weeks, which is remarkably fast compared to other competitive vendors,” he reflects. Adds FlexLink Systems Canada general manager Jeff Jones: “It is a pleasure for FlexLink Canada to partner with Mother Parkers, as it brings two industry leaders together to create manufacturing solutions that fit with the core competencies of each organization. “FlexLink is a specialist in factory automation and a leader in solving unique production flow opportunities with sound safe systems that will withstand the test of time,” Jones states. 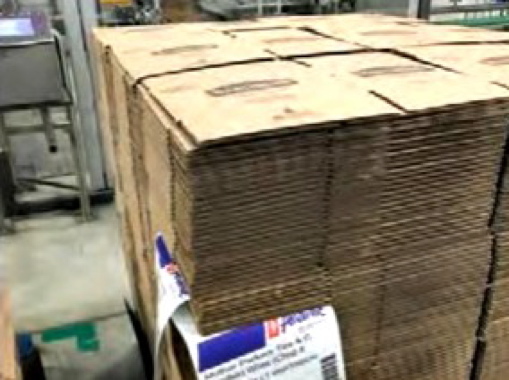 The Mississauga capsule plant makes extensive use of corrugated boxes supplied by Atlantic Packaging Products to ship its products to customers across North America. Part of The Coesia Group of companies, headquartered in Bologna, Italy, Swedish-based FlexLink AB operates 30 globally dispersed subsidiaries, including the Burlington location, delivering a diverse range of industrial conveying solutions to customers across a diverse range of CPG (consumer packaged goods) industries: from food and pharmaceutical to electronics and personal-care products. “We have worked hard to earn our position as a leader in the design of systems specifically for transporting single-portion coffee pods through the various packaging stages,” Jones notes. Supplied by Veritiv Canada, the fully-automatic Lantech rotary-arm stretchwrapper secures finished loads of boxed product onto the CHEP transport pallets. 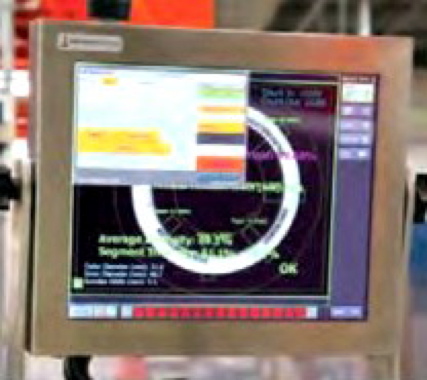 The FlexLink conveyor installation is the latest in a long series of proactive capital investments carried out at the capsule plant, which currently houses multiple cup forming lines—yielding significant cost-saving in transportation and warehousing—along other multiple filling/packaging lines, including those dedicated exclusively to organic coffee products. Boasting the coveted SQF Level 3 food safety and quality certification of the Safe Quality Food Institute (SQF), along with OCIA (Organic Crop Improvement Association) and QAI (Quality Assurance International) certifications for organic food production, the capsule plant is also a beneficiary of a highly motivated, dedicated and well-trained workforce, according to plant manager Stephen Leung. “The engagement of our plant employees is one of our most important competitive advantages,” states Leung. “Every person that works in the plant feels a personal sense of responsibility for continuous improvement. “Although the plant is only a few years old, it has grown at a rapid rate since we first opened, so there are always opportunities for process improvements, which usually come from the bottom up,” Leung relates. Says Leung: “From inception, Mother Parkers’ capsule plant has built a culture of employee engagement that has made a significant impact on the facility’s rapid expansion and success. The EcoCup single-serve capsules incorporate innovative click-and-peel technology to facilitate complete removal of the cups’ inner contents to make them more compatible for recycling. In a similar vein, Leung expects the company’s employees to play a critical role in further refinement of the EcoCup capsules. Mother Parkers vice-president of operations Joe Navin oversees production at all four of the company’s North American plants. Adds Yang: “We strived to redefine the single-serve experience with the EcoCup capsule format. “We married careful material choices with smart packaging design to come up with a solution that would be easy for our customers to adopt,” he explains. “Technology has allowed us to add more features and functionality to the EcoCup capsule without adding more cost. “Our research has shown that consumers are willing and able to participate in making a difference by separating and recycling single-serve coffee capsules,” Yang states, “and we’ll continue to work diligently with the many actors in the post-consumer supply chain to improve our product’s environmental performance. 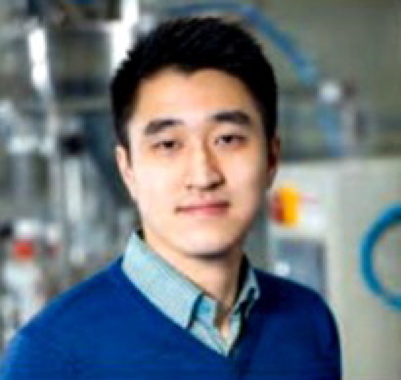 Packaging development group leader Paul Yang has headed the EcoCup product development efforts since its initial 2014 launch. 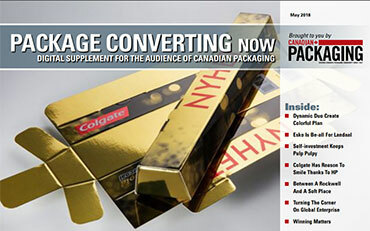 “Packaging innovation is definitely a big part of the marketing strategy for the company as a whole. 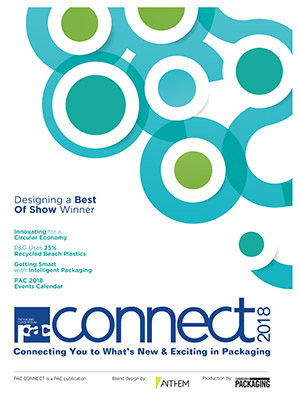 “We want to continue to create relevant products that meet the evolving needs of consumers,” Yang concludes, “and we see technology play a large role in shaping the future of packaging.